iPhone X and 8 vs Samsung Galaxy S8 – Is there a Clear Winner? Unless you live in a cave, you have probably heard that Apple recently introduced two new iPhone models (iPhone X and 8). While the iPhone 8 (and 8+) is available at retail stores, the iPhone X may not be available until mid November. 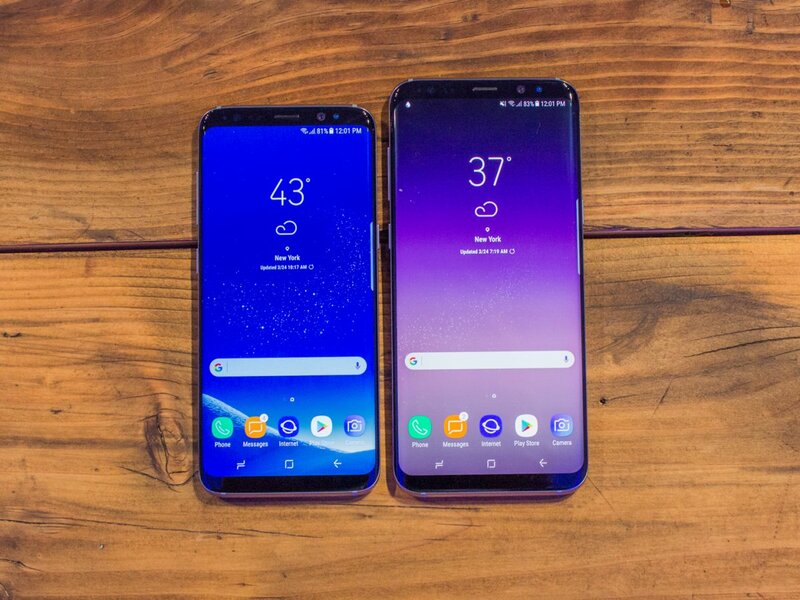 Because the holiday season is rapidly approaching and many people may be thinking about upgrading or replacing their existing smart phone, we decided to compare the new iPhones to one of their chief competitor’s smart phone: Samsung Galaxy S8. We realize there are other great smart phones like the Google Pixel and upcoming LG V30. We will take these up in a future post. To compare these smart phones directly, we put together a chart which shows their features in a simple, easy to understand manner. In reviewing these phones, we find that which smart phone wins depends on the feature you look at. The Galaxy S8 costs less, starting at $724.99 unlocked. Also, many cellular providers have attractive trade in offers of $200 – $300 for older phones. On the other hand, if you want to add to the Galaxy S8’s limited internal storage, a separate micro sd card runs about $125, which adds to the overall cost. We prefer the Galaxy S8’s design to any of the new iPhones’ design. Its bezel-less infinity display with curved glass edges on both sides creates the optimal viewing experience. Also, it has a higher resolution display with more pixels per inch than any of the iPhone models, resulting in a better viewing experience. The new iPhone X has a notch at the top of the screen, which disrupts the viewing experience and can take some getting used to. Also, the Samsung Galaxy S8 has larger battery capacity, which should lead to more time between charges. In addition, it has a headphone jack, which makes it easier to plug in typical headphones. Because the new iPhones do not have a head jack, you have to buy a separate cable which connects to the lighting connector at the bottom of the phone or wireless bluetooth headphones. This jacks up the iPhone’s overall cost. While we like the Galaxy S8, the new iPhones excel in certain areas. The new phones come with the built-in option of 64 or 256GB of storage. The Samsung Galaxy S8 only comes with 64GB of storage. To expand the phone’s capacity, you have to purchase a separate micro sd card, which costs $125 plus for 256GB. Because of their A11 processors, the new iPhones have performed significantly faster than the Galaxy S8 in some tests. They seem quicker when doing certain tasks, like copying files and multitasking. People who use their phones to surf the web, check emails and run several apps all at once may be better with an iPhone. The new iPhones also excel in the ability to offer 3D touch and augmented reality features for apps. Imagine being able to look at constellations or play a video game in 3D. Finally, the new iPhone X also is rumored to be more secure, because of its 3D Facial scanner. The Galaxy S8 has a 2D sensor, which is less secure and more error prone. If you choose one of the new iPhones or the Galaxy S8, we believe you will be pleased with your decision. They are great phones in their own right. One of the biggest influencers is the ecosystem you are tied to or prefer. If you are used to the iPhone interface and iOS operating system, use iTunes, iCloud and other Apple related apps, you will be likely to stick with their products. The same goes for the Samsung Galaxy S8 and its Android operating system. If you like the Samsung Galaxy line, it may be best to wait. Rumors are circulating that the new Galaxy S9 may become available in March 2019. Either way you decide, good luck with your purchase! Posted on October 2, 2017 January 24, 2018 Author FredCategories Smart PhonesTags apple, galaxy s8, iphone 8, iphone 8 plus, iphone x, iphones, new smart phone, samsung, smart phoneLeave a comment on iPhone X and 8 vs Samsung Galaxy S8 – Is there a Clear Winner? Do you know that there are about 230 million US smartphone users and over 2 billion worldwide? Do you know that U.S. smartphone users spend about an hour and half each day on their phone? 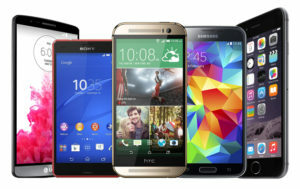 For many of us, smartphones have become integral part of our daily lives. Besides using them for email and making calls, we use them to do just about anything: banking, accessing social media and taking photos. This means that smartphones can hold some really important personal and financial information. Because the smartphone market is so large and these devices hold such valuable information, hackers have become increasingly focused on breaking into them. 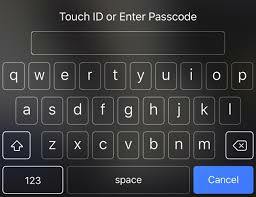 Recently, there has been a large increase in smart phone hacking. In the future, we expect the attacks to only get worse. 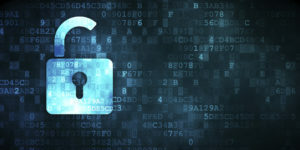 Recognizing these threats, we wrote an article about the five ways individuals can make their phones more secure and reduce the chances of being hacked. The first step you can take to better protect your smartphone is to be extremely careful about what you are downloading and installing. The best rule of thumb is to only download apps from the Apple App store or the Google Play Store and not unofficial sites. Apple does a great job of screening which apps become available through its App store. You can be confident that the applications you install on your iPad or iPhone are free of malware and viruses. The apps on the Google Play Store are more likely to have malware or viruses, but usually you can be confident when downloading from their store. Google has a scanner which scans its Play Store for malicious apps. Also, it is important to check the permissions a new app is requesting when you download it. If a flashlight app is asking for permission to access your contacts, this should be a red flag. When you can, we recommend that you disable bluetooth. Some hackers have used bluetooth to break into smartphones. 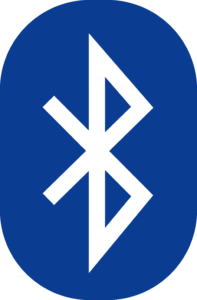 There are different bluetooth versions with varying levels of security. The older versions have more security holes, while newer versions have become more secure. In general, it is best to disable bluetooth when you don’t need it. If your smartphone is stolen, you want to be able to remotely track it and to delete it. On the iPhone, you can enable “Find my iPhone” under the “iCloud” settings. If your device disappears, you can put it in lost mode. This locks your screen with a pass code. You can display a custom message to help you get it back. You can also delete everything on your iPhone, so your personal information cannot be accessed. 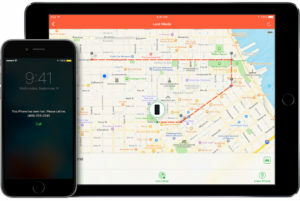 For Android devices, you can remotely locate, lock and wipe your phone by using the Android device manager and third party apps. While the iPhone comes with full-disk encryption automatically enabled, you will have to enable encryption on Android phones. Basically, the encryption protects your data by requiring a password for someone to be able to access your information in a usable form. Without that password, it would be extremely difficult to hack it. To set up encryption on an Android, you would need to go into “Security” in the Android settings and select “Encryption.” It may take an hour or two to encrypt the device. Then, after this you will be asked to enter this password every time your Android device boots up. Your phone should be set to immediately lock when not in use. It is very important to set a pass code or biometric (finger print, face recognition, etc.) security to protect it. If you are using a pass code, the longer the better. If your code is six digits long, this will make it 100 times more secure than a usual four digit one. There are locking settings you can change to increase your smartphone’s security. For instance, immediate locking will ensure that it will be hard to access your important information. Don’t set your phone to lock after one minute or so. Also, you can set your phone to erase all data after a certain number of failed entry attempts.